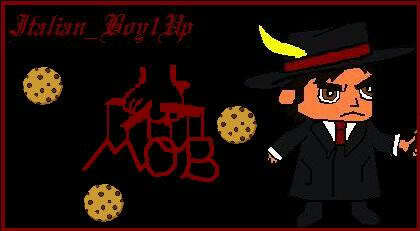 Hey everybody in the cookie mobsters. I'm going to be starting playing MAG maybe within the week, and soon also. I'm not officially in the clan yet, but I'm going to be hanging around the forums until I get the games. My psn is Enders-War same as my account. Hey Enders! I probably won't see you in game (seeing as how I don't have/want MAG haha) but welcome to the forums! Haha you finally posted, welcome to the forum buddy =P. You're just jealous >=P lol. You just need to give mag a chance! It's good, but no cod 4... iit reminds me a little bit of fat princess with more people and guns... there are people who use teamwork and own everyone, and there are the crappy noobs! But it's great! I played the beta and loved it and the full game is a lot better! He's played the demo I think, I don't think he has the game yet lol. Oh you would know if i had the game Italian! Do you haz Fat Princess?